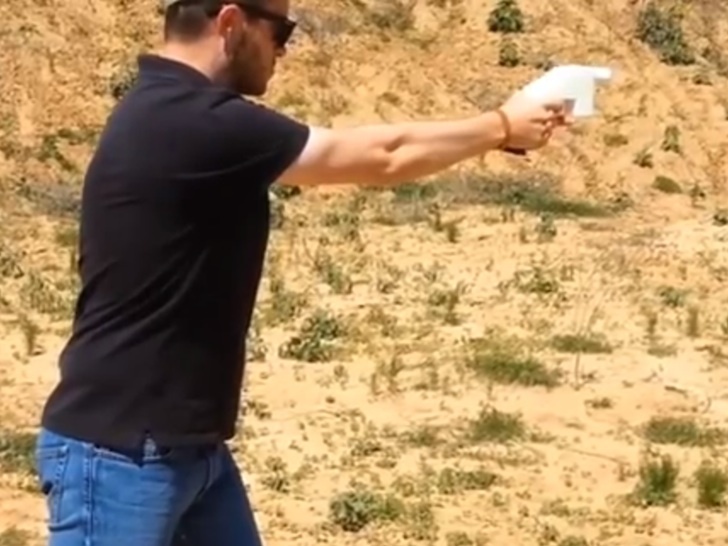 The world’s first 3D-printed gun was successfully fired over the weekend, officially ushering in a new era of “wiki weapons.” University of Texas law student Cody Wilson launched an Indiegogo campaign to fund the Liberator project, but the site suspended the campaign and refunded contributors’ money. Undeterred, the self-described “crypto-anarchist” raised $20,000 independently through his own website, accepting funds via PayPal instead. The gun is made entirely from 3D-printed ABS plastic save for its metal firing pin, and blueprints will be available to anyone through Defense Distributed’s website. Wilson told the BBC that he was motivated by liberty to design the gun printed on an $8,000 printer purchased on eBay. “There is a demand of guns – there just is. There are states all over the world that say you can’t own firearms – and that’s not true anymore,” he said. He added that he was aware that the gun could be used to harm people. The US Bureau of Alcohol, Tobacco, Firearms and Explosives (ATF) issued Wilson a license to make the gun, which is perfectly legal in the United States, according to an ATF spokesperson. However, if he wanted to sell it, he would have to have a special permit. Defense Distributed is made up of students, IT professionals and engineers from both the United States and Germany, and law officials have been monitoring their progress. Victoria Baines from Europol’s cybercrime center told the paper that although the technology has advanced faster than they expected, they are hoping to stay ahead of any future, would-be criminals. However, she also said that most people are likely to follow traditional avenues to obtain weapons. History is full of governments who have tried to take weapons away from the population only to have the population find creative ways to create their own. If you want to end violence, look to the source and don\'t get caught up trying to eliminate the tools. And by source, I mean the human factor. People intent on doing harm will always find a means of doing harm. Understanding why people turn to violence is the key. Shame, shame, shame. I questions the viability of Inhabit posting a GUN on its website. So not cool. Considering the amount of violence in our society and the efforts of the majority of Americans to reduce them, why would a GREEN website put up a post that assists in increasing their number? Designers have a responsibility to solve the world's problems in productive ways. Designers should not be adding to the world's problems. Of course the success of this weapon stands or falls on the availability of bullets. The high streets of (Western)Europe are not really crowded with ammunition shops. This technology has many applications as clothing,tools can be made in house. It leads the way for perhaps a forge to work with metals using the same basic design. Think custom parts. Very good a WW2 design for the new age. Now for more advanced designs. best thing to bypass the fraids and gun grabbers. The world's first 3D-printed gun was successfully fired over the weekend, officially ushering in a new era of "wiki weapons." University of Texas law student Cody Wilson launched an Indiegogo campaign to fund the Liberator project, but the site suspended the campaign and refunded contributors' money. Undeterred, the self-described "crypto-anarchist" raised $20,000 independently through his own website, accepting funds via PayPal instead. 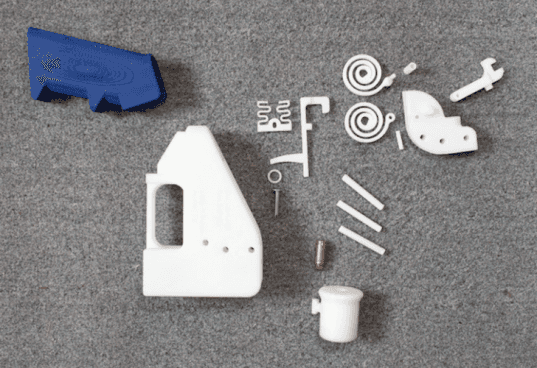 The gun is made entirely from 3D-printed ABS plastic save for its metal firing pin, and blueprints will be available to anyone through Defense Distributed's website.